Most multilingual websites are created as different versions of the entire site and the user can only see one language at the time. 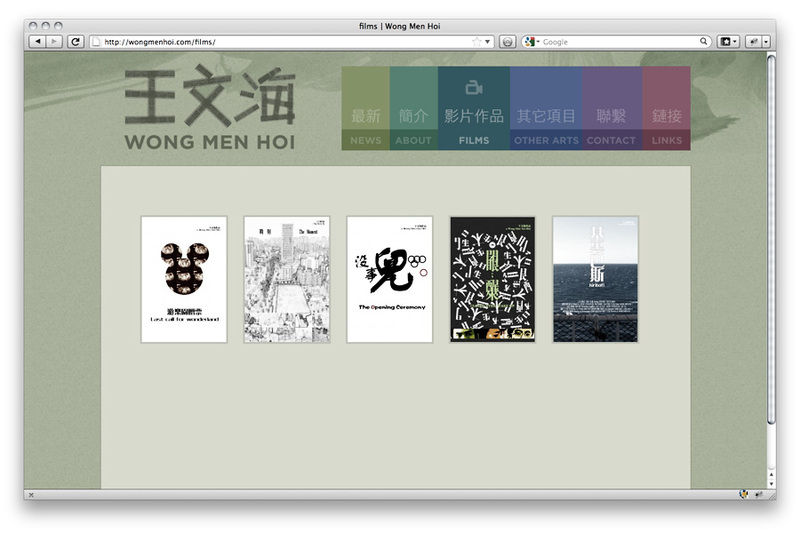 For many smaller sites, this is not necessarily the most interesting way to present content. 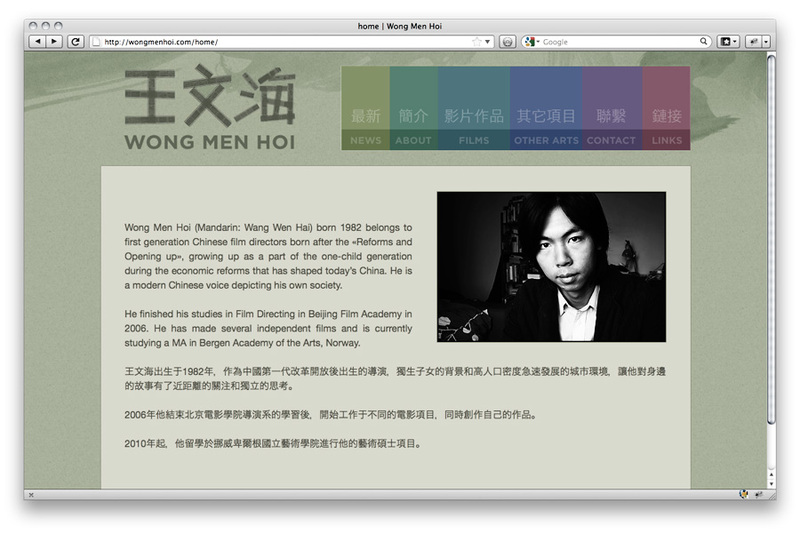 For film director Wong Men Hoi, his nationality is made evident by combining English and Chinese text – instead of separating the languages.